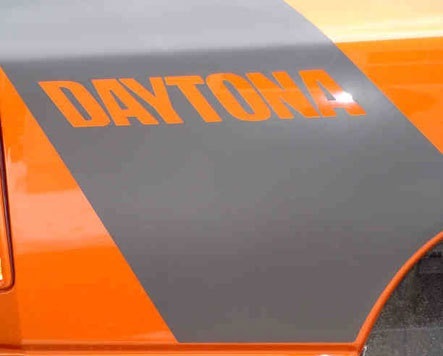 Daytona Custom Body Stripe Decals with OPTIONAL Build Number Daytona Body Stripe Decals, Daytona Body Stripe Decals, Daytona Body Stripe Decals, Dodge Ram Daytona Body Stripe Decals, Ram Daytona Body Stripe Decals, Dodge Ram Daytona Decals, Daytona Decal, Daytona decals, Daytona, Dodge Ram Decals, [3SP Daytona Bed Stripe Decals] - $219.95 : 3rd Strike Performance, Your Source for Late Model MOPAR Performance Parts and Accessories! 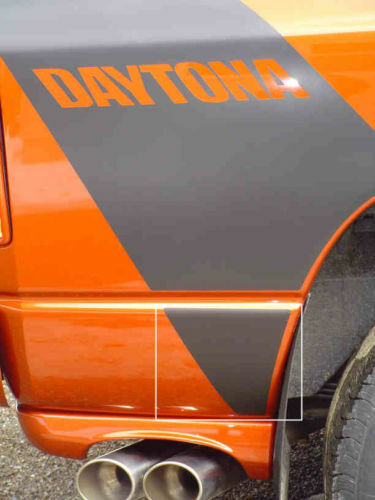 Are your decals for your Limited Edition Daytona missing? Cracked? Want to change colors? We have them! We have these decals in Matte Black, Black Carbon Fiber, Reflective Black, or Gloss Black. Also these are custom made decals, so please be patient, as they can take 7-14 days to ship.